You know, the Library of Congress website states that "Congress adopted the Declaration of Independence in the morning of a bright, sunny, but cool Philadelphia day." A bit poetic yet telling given how many versions of America's natal chart exists, and most of them set for the afternoon of July 4, 1776. Naturally, the Mercury/ASC YOD disappears rather quickly but Luna stays within orb of the Mercury/Neptune YOD until 12:36 pm. Later afternoon charts such as the Sibly (5:10 pm LMT) do not contain the Mercury/Neptune YOD with apex Moon, so this may be a small chance to evaluate the Dobyns chart with a few indications presented here. 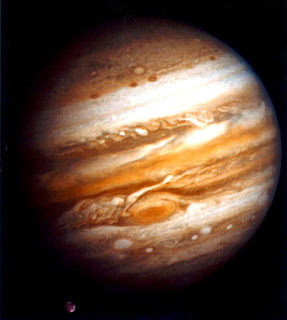 Mercury/Neptune = Moon: intuitive thoughts bring confusion and questions; sympathy and receptivity; a misguided imagination (which may be self-induced, and/or induced from others who lie, cheat, and pepper us with constant propaganda -jc); ESP; personal impressions dominate thinking processes. Mercury/ASC = Moon: projections of emotions to others; moody reactions when stimulated by certain people; judgments based on personal feelings or subjective assumptions; negotiations that concern women. 10:36 am LMT, Philadelphia, PA, July 4, 1776: Hour of Mercury (Rx); Venus, Mars, and Pluto are out-of-bounds as in our nation's other July 4 charts. 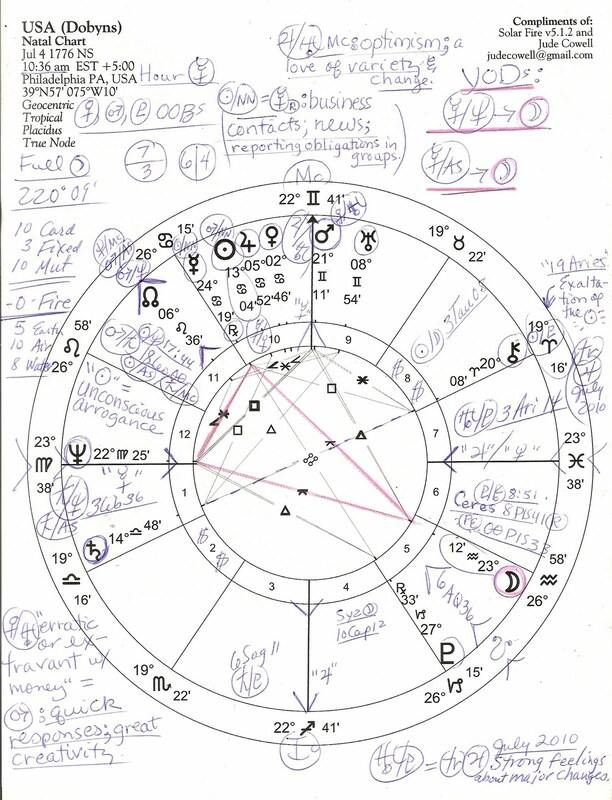 One large factor in favor of using this chart for America is our do-as-I-say-not-as-I-do Geminian Mars @ Midheaven. Native Americans identified our martian tendencies early on as the US government, its reps, and many settlers spoke with forked tongues in order to take what they wanted and expand into the world. Our tendency to reneg on agreements is indicated as well since Mercury (agreements, treaties, negotiations, trade, commerce, communications) rules Gemini. As you know, Mars signifies the Armed Forces and Police of a nation, and in general, males between the ages of 25 - 35, give or take a year or two. The goal (Mc) of being global cop, invader and occupier, and a police state at home comes to mind especially when we consider how many citizens are now locked up in the massive US prison system. Even debtors' prisons have been revived in some states in spite of difficult financial conditions and our tattered social fabric. That the US is an active force (Mars) on the world stage (Mc) is obvious but the awareness of its true meaning and our multiple (Gem) motivations (Mars) are often not well understood at home by most of us, partially due to purposeful governmental and media-enabled cover-ups and obfuscations. Moon/Neptune oppo Mars: self-aggrandizement; lack of self-control; relying on feelings rather than observations; anger and rancor from others; protests. Moon/ASC oppo Mars: energetic self-projection; temperamental change at the slightest sense of frustration; impatience when others interfere with procedures; moodiness. 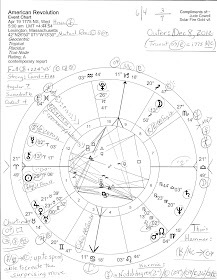 Now as you see, nebulous Neptune rises in the Dobyns chart indicating a psychic flavor to the chart and perhaps the oft-accused mysticism of Freemasonry and other secret societies in control of the US. Escaping form life's harsh realities is a constant occupation and perhaps turning on a TV these days, you'll view a plastic wind-up doll in a TV ad extolling the (dubious) virtues of yet another chemical mood enhancer for that 'moodiness' we just listed above. The insecurity of Neptune makes our fabled search for 'security' in the world something of a wild goose chase since Neptune's realm is the spiritual, not the physical! Obviously, Neptune's link with the masses, mass media, and Hollywood's silver screen are indicated (as well as oil and gas), along with a tendency to become sympathetic yet dispirited concerning the many depressing social, economic, and human rights violations in the world. We do tend to give others the benefit of the doubt (often too readily, imho) and we attract odd characters who can easily steer us wrong. Yes, our leaders know that the American people are generous and willing volunteers. But unfortunately, 'Moon inconj ASC' describes a condition where our volunteer efforts undermine our health and compromise our well-being. Recent examples are Gulf Coast clean-up crews and the 9/11 first-responders; I'm certain you can think of others. 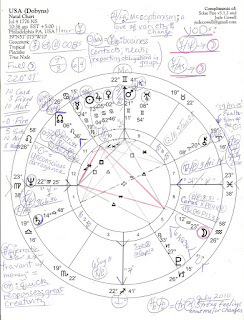 Well, there are many other interesting factors to discuss from the US Dobyns chart and if you're interested, please leave a courteous comment or opinion with this post. For without your input, my time feels too obviously wasted as I type into the void and others laugh at me behind my back for being too willing to volunteer my services on behalf of my only nag in the race - the United States of America. *YODs are triangular patterns with two or more planets in sextile (60 degr) at base and pointing to an apex planet (or planets); the pattern indicates a special task, crisis, or a turning point. Issuing a sassy Declaration of Independence from England definitely qualifies as all three, and health problems may also be indicated. I know the feeling of my communications sinking without a ripple, so I sympathize. I can think of certain others who fit "those who don't." The question in my mind is, is the US doomed to keep repeating this until we go under? 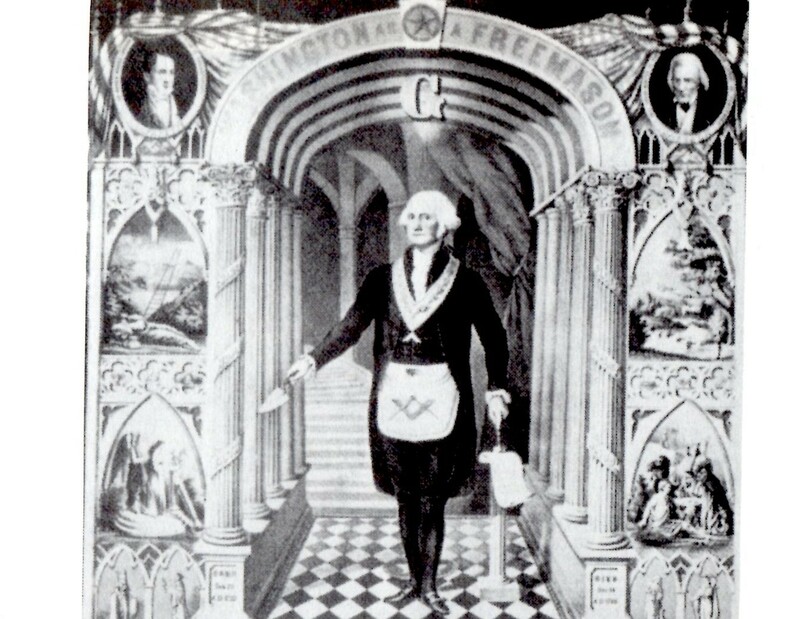 Also, do you feel even latter-day presidents have been Freemasons? The early ones, yes, but the more recent ones? Aww, thanks Kieron for replying! You'll find a fuller reply to you on FM presidents at the end of today's post w/ a link you may wish to check out. 'Keep repeating this until we go under'? Oh yes, that and other actions and frauds have been designed to do just that in order to set up the US with the UN to rule a one-world-government. Whether US actors will get their wish to be top dog remains to be seen, however, and we sometimes hear rifts of the 'ego-games with important consequences' variety when they make the news. My suspicion is that 'turns' at the helm will be taken but who will be first? And i haven't totally given up on the idea that the BP-Gulf Oil fiasco was an act of sabotage with the Mississippi River being the obvious point at which to divide this country both physically and politically, the birty dastards. 'Immigration reform' is a code phrase for dissolution of our borders so that an NAU can be created out of a propagandized 'necessity'.